Backward, barefoot, unclean, hillbillies- they were called idiotic, frail, half-wits. 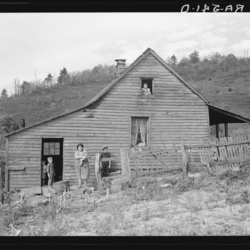 These are only some of the terms used commonly in the 1930s to describe the people who lived among the mountains of Shenandoah. They were painted as uneducated, slow, drunks. They were photographed, studied, given tests and documented for the parties interested in evicting them. Their land was to become Shenandoah National Park. They had to go. To justify such an act, the "resettlement" of these residents was portrayed as a service to them. The isolation of their lives was said to tear away at their physical and mental health. Their hardships, the same hardships of many lowlanders, were used as proof of their dire need for relocation. They were being thrown out of their homes- but, was it really for their own good?